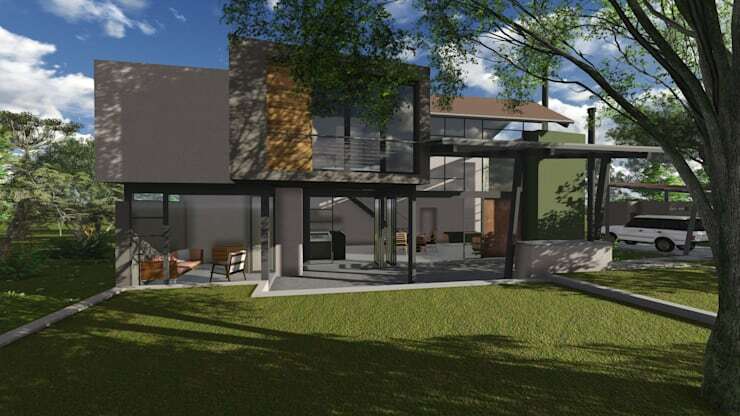 In this Ideabook, we look at an amazing home in the capital city of South Africa, Pretoria. This inland city although being not as popular as the coastal cities of South Africa, has many other sensational qualities that make it a lovely space for tourists and locals in the know. So if you like the idea of relaxing and unwinding while enjoying the sunset in a modern home, then this house is a sensational sight. The home we visit today on homify 360, gives a whole new meaning to game farm living, and we cannot wait to show you how! We begin our tour with a visit to the front of the home. The use of contemporary colours, modern fittings and chic yet stylish finishes are the perfect decor choice for this simple and cosy home with a modern touch. The addition of wooden accents incorporates a natural edge into the decor, making this comfortable home, an attractive one too. A great design choice by the team of architects. A beautiful home like this is of course made complete with some equally stunning plant life in the garden area. The greenery adds a scenic feature to this beautiful home, allowing you to just enjoy the outdoor experience, now just to sit back and take in the sights while waiting for some wildlife to drop by for a visit. This image captures the sleek and elegant look of the interior. The rendered image shows sophisticated minimalist decor, which is almost like being in an upmarket apartment, but with the added benefit of a natural environment. Just enjoy the afternoon sun in style while sipping on a cup of hot cocoa. 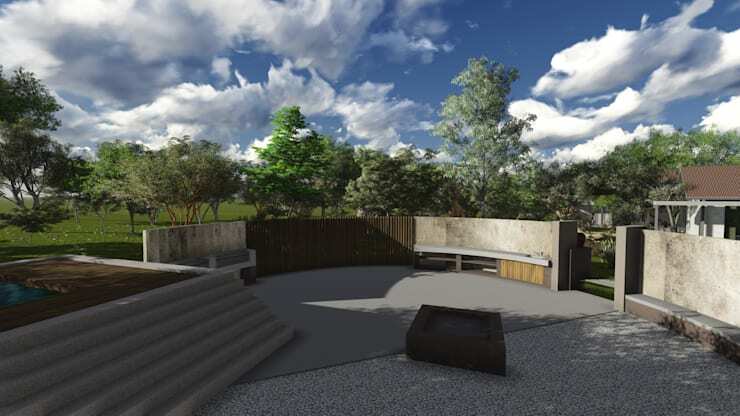 This spacious terrace area is a fantastic choice for this modern home with wilderness surroundings. It's the perfect spot to enjoy the simplicity of the relaxing environment with your loved ones and have a braai in the great outdoors. Or how about pulling an all-night camp fire experience but in the comfort of your own home? A wonderful home needs an awesome plan, and this house has definitely got each feature down for perfection. It's an extraordinary living experience, but it's an amazing choice for this modern home. 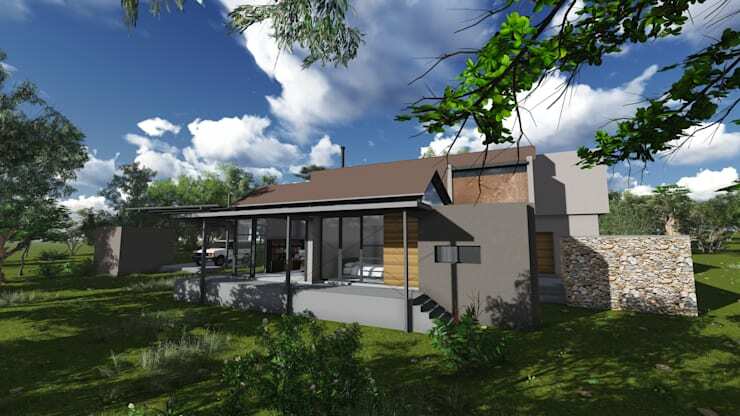 If you liked this South African home, then The home in the Free State that you will die for is an amazing feature too. 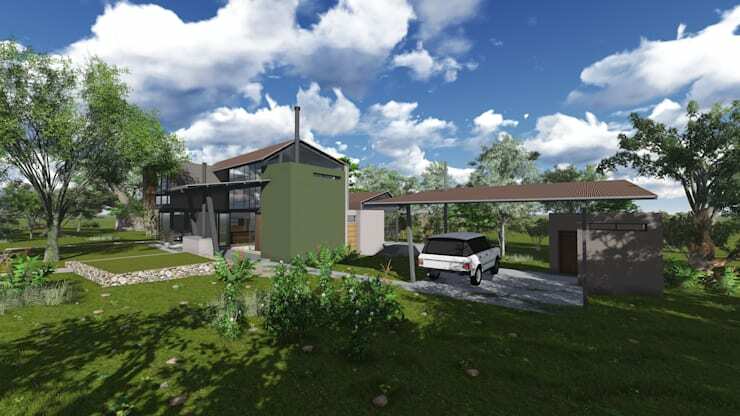 Would you like to live on a game farm?